Having a dog is a great responsibility but you will certainly receive unconditional love and a partner in crime for the rest of your life. And, it is only natural to look after your furry pawed friend and try to make its staying in your home as comfortable as possible. However, no matter how much you spend on good food, comfortable bedding, quality grooming products, and toys, there are still certain dog needs you will have to face as a responsible pet parent. Your dog’s skin can easily become itchy and, if not treated accordingly, can lead to rashes and other more serious skin problems. But, instead of appealing to a new dog itch relief shampoo, you can first try some of these amazing and 100% natural, homemade remedies. Baking soda is a powerful agent that can be used in a wide variety of purposes around the house. It is a magnificent natural detergent and cleaner, but can also be used to treat a lot of skin problems, including your dog’s pretentious skin. Simply dissolve two teaspoons of soda in two teaspoons of water and apply the mixture on your dog’s skin affected areas, leaving it for about 20 minutes. You can easily rinse it off after. If your dog is itching all over, you can add some of this amazing natural ingredient to his bath water. As for vinegar, it has the same effects like baking soda, and it is known for being a natural degreaser. Use the same 50/50 mixture of apple cider vinegar and water to treat your dog’s skin but this time put it in a spray bottle. Apply directly on the affected areas and do not rinse. 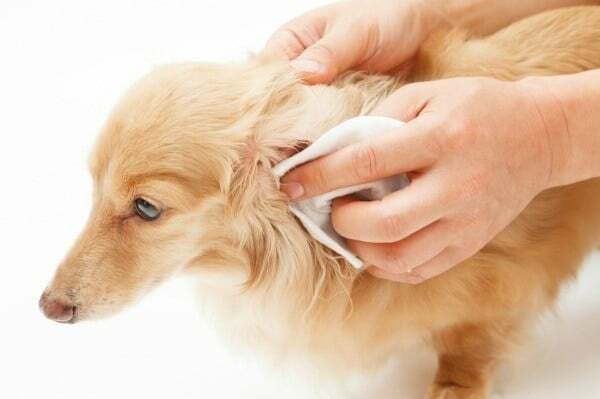 Another simple method to get rid of the itching skin of your dog is to give him constant brushing. A few minutes of brushing your dog’s fur every day will go a long way. It will not only prevent tangling but will also stimulate hair to grow, will get rid of dust and debris, and will soothe your dog’s skin. It is also a relaxing method and a good way to spend some quality time with your pup. Don’t use a brush too soft but rather a harsher one. This will stimulate blood cells and hair follicles and will generate the natural rejuvenation process, while also helping your dog get rid of nasty itches and rashes. 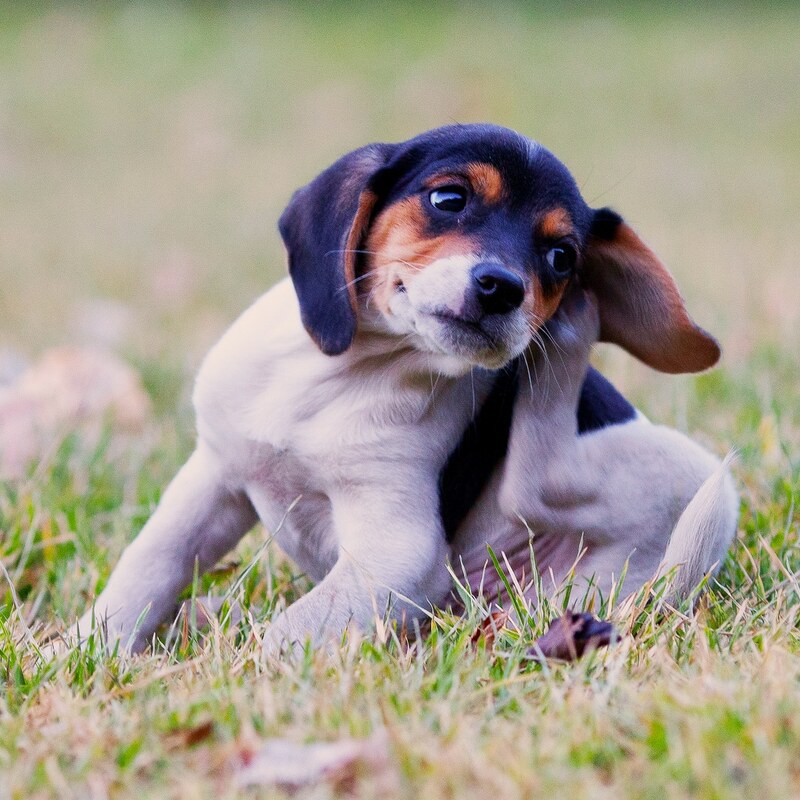 Make sure your dog doesn’t have any fleas, as well, because they can definitely trigger allergic reactions. Essential oils are known for their therapeutic, calming, and soothing effects. A few drops of essential oils can go a long way and calm down your puppy after a long walk, or even help to ameliorate some health issues. Whether you choose primrose oil, eucalyptus or lavender oil, all you need is a few drops dissolved in two tablespoons of water. Apply the mixture directly on your dog’s skin and let these miraculous oils do their magic. You will soon notice your dog feels calmer, and that the itches have gone away.